The research project, which studied the use of technology to inspire “mindful eating,” represents a unique cross-sector collaboration among Hunter College researchers, an IT development team at the New York University Interactive Telecommunications Program (NYUITP), City Harvest, and its community partner, the Northeast Brooklyn Housing Development Corporation (NEBHDCo). 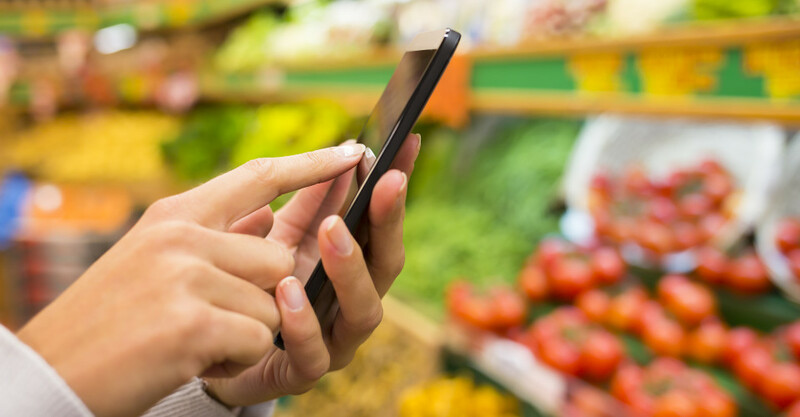 Funded by the NYC Food Policy Center at Hunter College and a CUNY Public Health Practice and Community Engagement faculty grant (IRB approval #2015-1415), the researchers sought to understand if using a smartphone app could help participants at one of City Harvest’s Healthy Neighborhood cooking workshops (hosted by NEBHDCo) improve mindfulness about food choices. “Mindful eating” can help individuals become attuned to physical and emotional sensations while eating, and can be associated with healthful dietary behaviors 1. The NYUITP team developed Sage.is, an interactive app that simulated an in-depth and user-friendly version of an on-package nutrition label. Users set up a profile with Sage.is’ userdesigned onboarding process, with their height, weight, activity level, and dietary preferences. The app customizes product information for hundreds of branded food products according to individual needs. It also features novel tools, including “exercise equivalents” to help people understand how much exercise is needed to burn the calories found in a specific food item, and “food origin” information that tells how far foods have traveled from the source to the grocer.